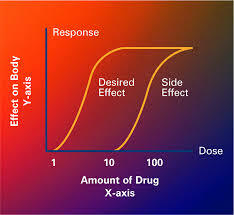 In the post “Size Matters-Dose Size That Is… Prescription Drugs” we took a look at dosage of prescription drugs as well as the risks of prescription drug abuse and some of the organizations battling this growing problem. Many of the NPS were created as research chemicals to help scientists understand the effects illicit compounds have on the human brain. Since they are synthetic compounds, they are often far more potent than their illicit counterparts. The compounds “Spice or K2” are synthetic cannabinoids and have more intense effects than the active compound in marijuana and produce pronounced feelings of anxiety and paranoia in users.3 Recently the Centers for Disease Control reported an “outbreak” of emergency room visits (over 200) by users of synthetic marijuana with some users being placed into the intensive care unit. These compounds are far from benign and pose a very real risk to users. This entry was posted in Analytical Chemistry, Drug Chemistry, Drug Overdose, Toxicology, Uncategorized and tagged 1-(3-trifluoromethylphenyl)piperazine (TFMPP), Abuse, Chemistry, Designer Drugs, Drug Abuse, Drugs, Forensic Toxicology, Impairment, NBOMe, New Psychoactive Substances. Bookmark the permalink.